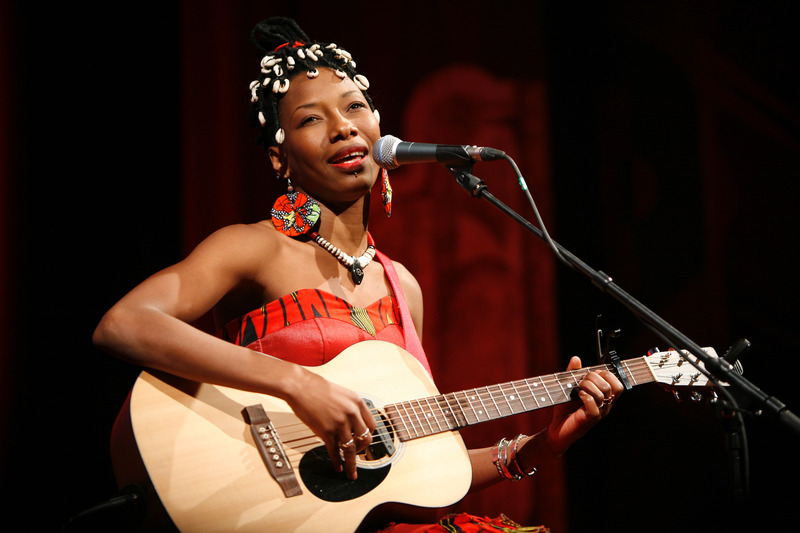 MALI’S FATOUMATA DIAWARA LIVE @ PACE UNIVERSITY SEPT. 28Th | STREETS OF NEW YORK 411 INC. The extraordinary story of Mali’s Fatoumata Diawara’s meteoric rise as one of today’s most exciting artists. begins with her joining a theatre company, performing the classical Greek role of Antigone, starring in a string of successful films, running away to France and finally finding her calling as a musician. At the center of her music is a warm, affecting voice; spare, rhythmical guitar playing; and gorgeously melodic songs incorporating elements of funk, soul and jazz. This show marks her NY debut as a soloist and celebrates her latest cd on the Nonesuch label.